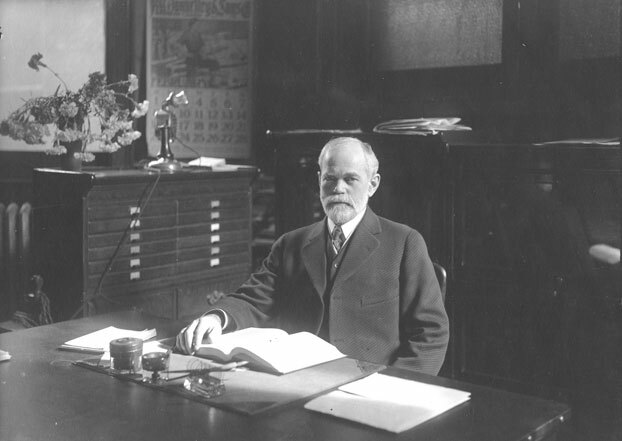 Eugene Davenport succeeded George Morrow as the dean of the College of Agriculture on January 1, 1895. The Illinois Farmers’ Institute was created by an act of the General Assembly on June 24, 1895, to promote among the people and before the legislature the interests of farmers and of the College of Agriculture. Eugene Davenport, ca. February 1914. Credit University Archives.